Arguably the biggest advantage to low interest credit cards is that you’ll save money on monthly interest payments. If you’re someone who tends to carry a credit card balance month to month, you should definitely consider a low interest credit card. Many credit cards can have an interest rate as high as 30%. If you compare this to a low interest credit card with an interest rate of 15%, your monthly payments will be cut in half. This can lead to huge savings and is one of the biggest advantages of a low interest credit card. Low interest credit cards tend to have lower annual fees. 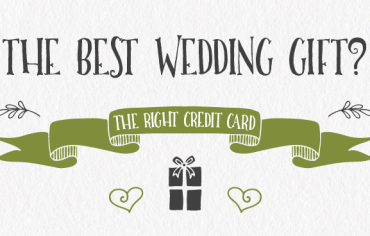 Depending on which card you choose, you can expect an annual fee of anywhere from $0 to $30. 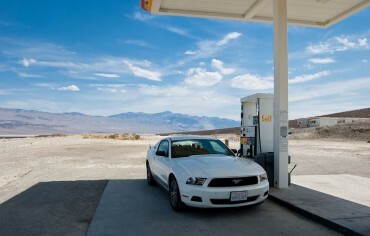 This is nothing compared to the $120 or $150 annual fee you might find on a rewards credit card. If you have a lot of credit card debt, we’d typically recommend using a balance transfer credit card. Balance transfer credit cards are hands down the best option for paying off accumulated credit card debt. They offer a low interest rate (or 0% interest rate) on all balance transfers for an introductory period. If you can use your balance transfer credit card responsibly and pay down your debt within the promotional period, this is the best option for you. The one problem with balance transfer credit cards is that they’re a temporary fix. They provide a low interest rate on all balance transfers for the first few months you have on the account. Often the interest rate will then increase to a typical interest rate of around 20%. If you can’t pay off your accumulated debt within the given time period, you may want to consider something more long term. Low interest credit cards offer an alternative. The interest rates on these cards don’t have a restricted time period. Therefore, you can transfer your credit card debt to a low interest card and you’ll save on high interest payments. 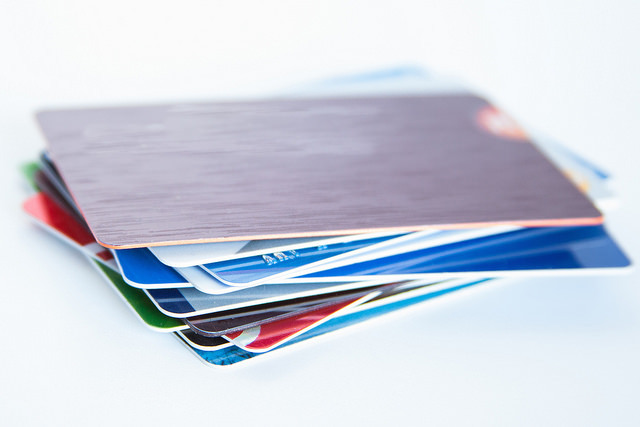 Some cards even offer an introductory balance transfer option followed by a low interest rate. This is the perfect opportunity to begin paying off your current credit card debt and avoid accumulating more debt from high interest payments. The big disadvantage of a low interest credit card is it won’t provide the extensive benefits and rewards you’d get with a rewards card. Typically, there’s no way to earn rewards on your spending. And your benefits (such as travel and purchase insurance) are highly limited. If you’re going to carry a low interest credit card, don’t get too comfortable. Sometimes you can fall into the trap where because you have a low interest rate, you don’t feel the pressure to pay down your credit card debt. Just because you have a low interest rate doesn’t mean that you can’t rack up debt by not paying your monthly balance. You should always make an effort to pay as much as you can. You should view a low interest credit card as an opportunity to pay off your current credit card debt and not a time to accumulate debt. Low interest credit cards are a great way to begin paying off your current debt. Therefore, it makes sense that you’d want to complete a balance transfer (transfer other credit card debt to your low interest card). Just be aware that most low interest credit cards will charge you a fee on all balance transfers. Most low interest credit cards have high interest rates for cash advances. We wouldn’t recommend making cash advances with your low interest credit card. However, there are a few low interest cards that don’t have this problem. Just make sure to shop around and find the card that’s right for you if the cash advance feature is important to you. 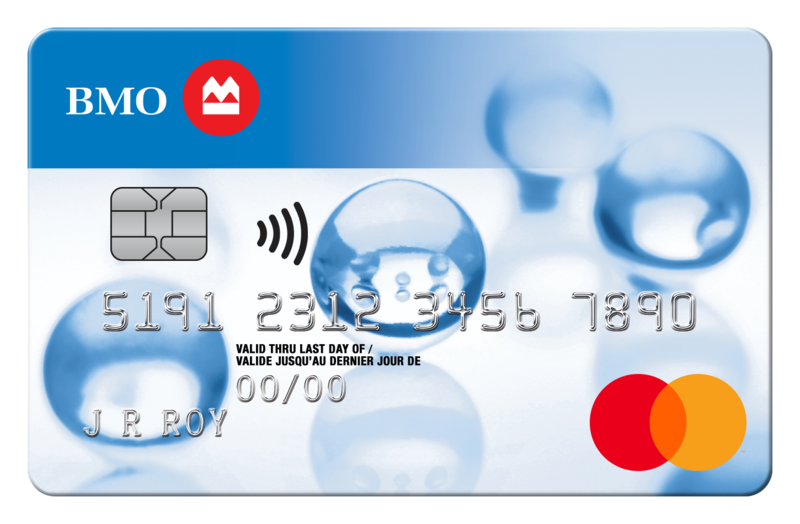 Choose the BMO Preferred Rate MasterCard if you don’t mind a small annual fee and you’re looking for a low interest rate for purchases, balance transfers, and cash advances. Consider the MBNA TrueLine MasterCard if you’re looking for a no annual fee card and a few extra insurance benefits. The interest rate for this card is unique as it’s based on your credit rating. If you have excellent credit, you’ll likely be approved for the 5.99% interest rate. This rate is incredibly low for a no-fee credit card. If you happen to have poorer credit, you’ll likely have a higher interest rate (up to 14.99%), which is still considerably low for a no interest credit card. Note that you shouldn’t use this card for cash advances as the interest rate is 24.99%. 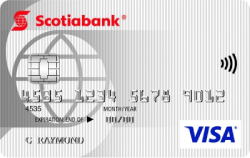 If you have existing credit card debt you’re looking to pay off and you don’t mind an annual fee, choose the Scotiabank Value Visa. This card has a balance transfer offer for the first six months but your interest rate will remain low after the first six months and on any purchases you make with the card. Note that this card has a 1% fee on all balance transfers. 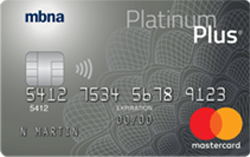 Consider the MBNA Platinum Plus card if balance transfers are most important to you. This is an excellent choice for a balance transfer credit card as there are no interest charges on balance transfers for 12 months. However, this isn’t a low interest credit card. After the introductory period ends, the interest rate goes up to 19.99%. Also, there’s a 1% fee on all balance transfers.